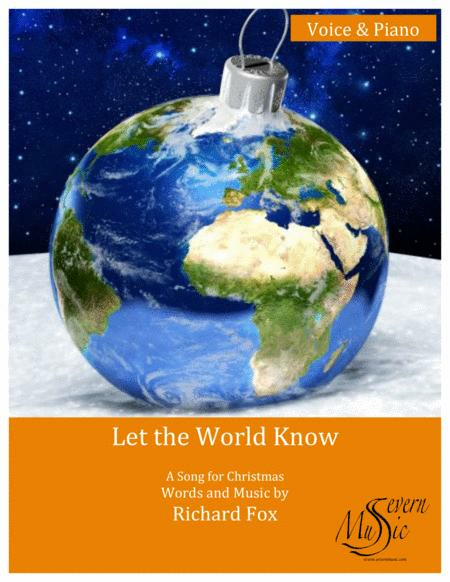 Composed by Richard Fox. Christian, Contemporary Christian, Christmas, Children's Music. Score. 7 pages. Published by Severn Music (S0.267323). A fun and lively song for Christmas which encourages everyone to tell the world that the 'King of Love is here'. This song has a single line for upper, lower or mixed voices with some optional harmonies and a piano accompaniment. The piece is also included in the anthology 'Here and in Bethlehem', available from the Amazon books store. Please visit our Web Store at Severnmusic.com for more original choral music and innovative arrangements for singers and instrumentalists of all abilities. And don't forget our forthcoming works for Youth Music Theatre.